A short history of the BSA frame, renamed The Otter. Pat Slinn's forerunner of the BSA "Otter"
The BSA Otter. 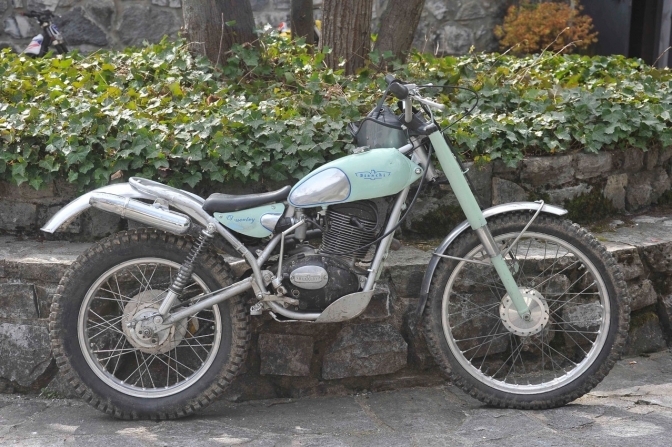 has been hidden in the background of the Classic Trials movement for far to long, and has been shunned in some circles as a bike without an identity. Well now is the time for that to change. We will try eventually, if there is interest, run events for ourselves and have one or two rallies a year, for like minded owners to meet. 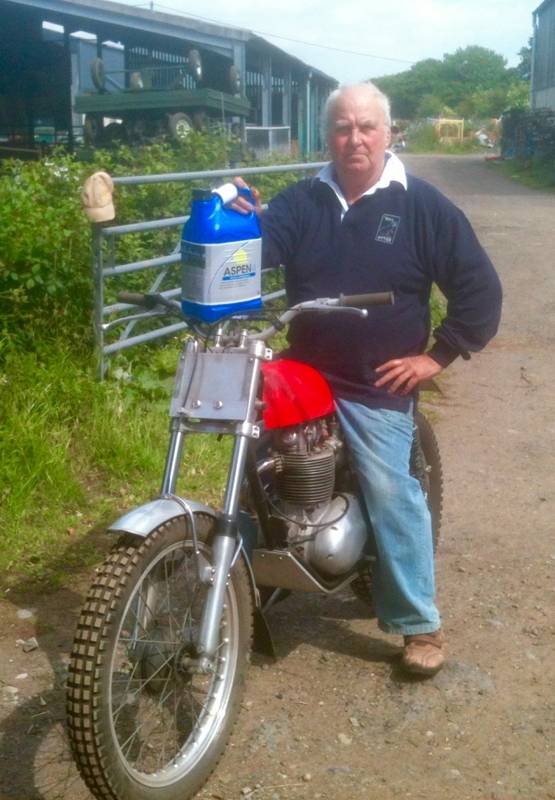 Now that this web site is expanding to incorporate a wider aspect of the Classic Trials Scene. You will be amazed at some of the articles within the pages now on this site. We now intend to build this site into the best Retro and Futuristic, Non Stop trials Information pages on the Internet. Go firstly to the current year News page, which is at the top of the listings, where there will be announcements to all that is New. 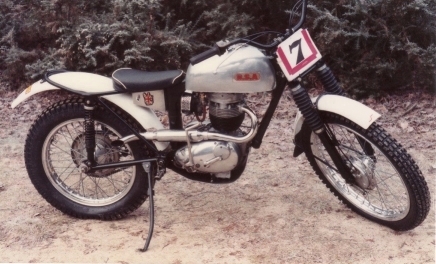 Most competition motorcycles from the BSA Factory were finished with a nickel plated frames. This is BOK228C as it was first built,but now the steel rims have been replaced with deep flanged alloy. It was in this guise,but with the steel rims, that Scott Ellis, Won the 1965,British Experts trial in atrocious conditions. A True Classic "BSA Otter". Make this year your year to do just that. 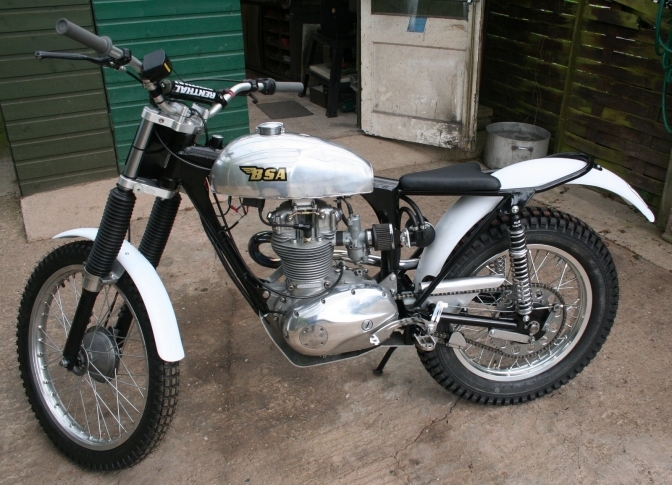 Build a BSA "Otter" or the engine of your choice. other owners bikes as well as my own collection. There will be articles and information about the BSA (and sometimes Triumph) engines that fit into these frames. And it is my intention to run club trials for the BSA "Otter", along with a few well chosen bikes out of the Ariel and BSA factories. allowing some of the superb replica examples that are out there as well to compete, if they wish. A brief history of the BSA "Otter" name, and frame. Pat Slinn worked in the BSA Experimental/development department part of the competition shop, and in this shop a well known trials rider had his work bench, this was Samuel Hamilton Miller. Now Pat worked all day next to one of Sam's Ariel's, and there were two both with the famous registration number GOV132. 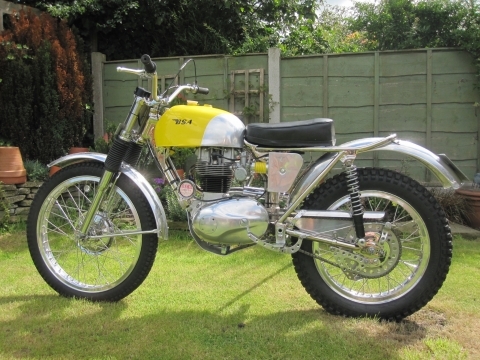 He got to thinking that he could possibly construct a frame similar to the one used by Sam for his Ariel's, to fit a 250 BSA engine in, we wont call it a C15 because the engine was an experimental one with a beefed up bottom end. Anyway, Pat set too with his hacksaw, and started to make his frame with large two inch top frame and seat tubes, which were to carry the engine oil the same as GOV132. And as there were obviously BSA parts to hand,for frames that Pat had tested, on prototype bikes for the British Army, he knew that the swinging arm and sub-frame from one of these bikes would be more than adequate,for the job so used these. Take a look at Pat's bike at the top of the page ,and in its final reinstated condition on the left. So this is the bike that he rode in most national trials in the UK from 1964. 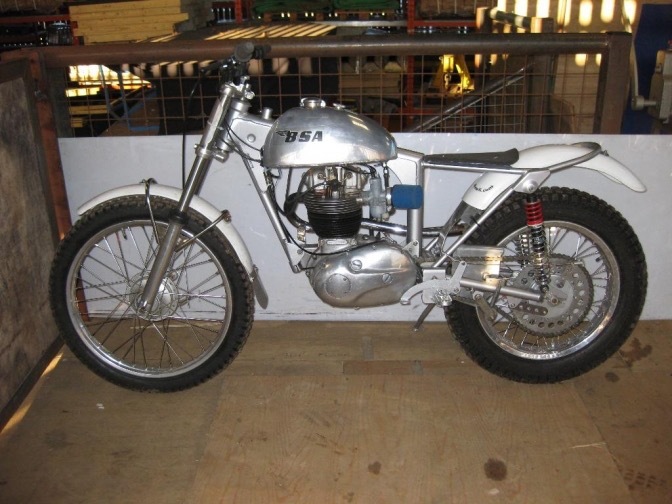 Another person working in the same department was Scott Ellis's father Sep.
And Scott was now a "BSA" works rider , he was also on a quest to build a lightweight bike with more ground clearance. Pat remembers seeing Scott's frame in his fathers office one day, and also the comp-shops welder George welding brackets onto the frame. But he thinks the main part of the frame was built outside the factory. The influence was from an Ariel HT and an Elstar grass bike that Scott was riding at the time. 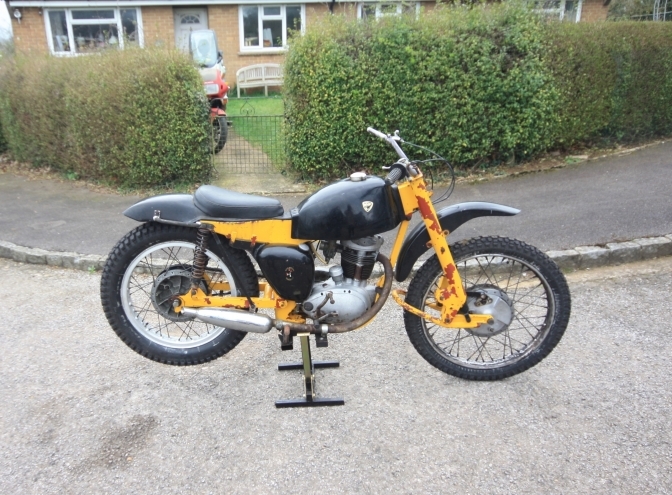 It used a Triumph Sports Tiger Cub sub-frame and swinging arm, So not forgetting that Scott had just moved over from Triumph, where he was a star riding a Works Tiger Cub. Now this frame turned out to be the final one fitted to his works ride BOK228C, first registered in January 1965. 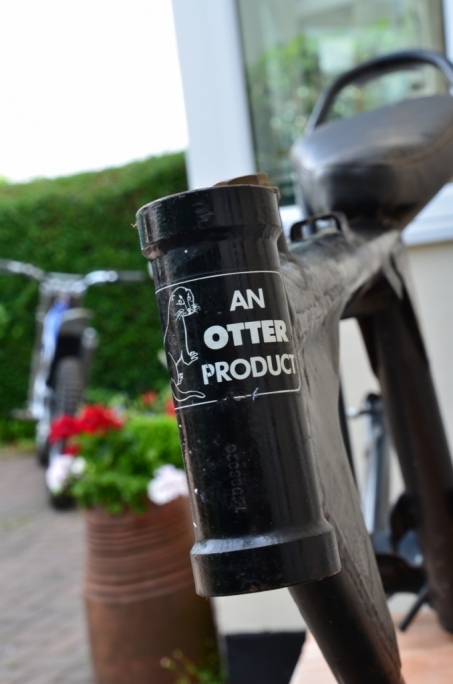 And the frame that the late Harry Foster copied and named The now famous "BSA "Otter". But as you see Pat's bike was probably the one that inspired the others. Even the late Brian Martin, Comp shop boss at the time, was given some credit by Sammy Miller MBE,for it's design, true or not, we may never know. There were others that made frames along-the same lines,as the BSA Otter at the same time Harry Foster was making his,frame, But do you know where any of these frames are? Has long as it set out to achieve the same principles of the frame Built by Scott. IE,To carry the engine oil in the large diameter frame front tubes (2" dia). and to uncradle the frame tubes, making it a spine type design. with no supporting frame tubes under the engine unit. A separate rear subframe would be considered more concise with the original design. which has you now know used a subframe from a Sports Triumph Cub. But welding this to the main frame would only be considered an update. As would be using any existing swinging arm unit. So You see an "Otter" trials machine frame can be in many disguises. And one thing you can have with a BSA"Otter" is load's of fun! Hey Brian. Faber Mk 1-2 Frame. This is Pat's frame in the raw, after forty five years of service Pat stripped the bike's frame back to bare metal before repainting,and rebuilding it to show standard. Looking at this photo you can see where the influence for the "Otter" frame came from, and as I have said before this must have been the frame in the minds of Scott Ellis and his father, when they went ahead and built up there version. Pat Tells me that he is now in the process of re-renovating the bike again making sure that he fits replacement parts that are necessary with the same that were fitted to the bike when he originally built it. Well we now know that has been done. More picture of Pat's frame in the stages of build up, from this shot will be found in the Gallery. Pat's Reply.to me about the web site. 2010. Congratulations on the "Otter" web site Charlie, it really is good. The story of my frame is about correct. Brian Martin did know of it's existence, but I cant remember if he ever rode it. and Jeff was a special guest on one of the sessions. I only wish that we carried cameras in those days like we do today. I enclose some more photos of my bike. When I first built the bike the frame was nickel plated, as per the majority of works frames, and bits and pieces were chromed. when BSA sent me to live and work in Germany I left the bike with my twin brother, he used it but unfortunately did not look after it. He worked for a powder coating company so he had the frame etc striped and powder coated. I am at present restoring it back to it's 1964 condition. We then in the year 2000 get a New build of BSA "Otter". Sammy Miller and Howard Fawkes from HGV engineering in Cornwall decided to join forces in a venture to build a New batch of "Otter" frames using one of the Foster original copies as a pattern for the New Jig. 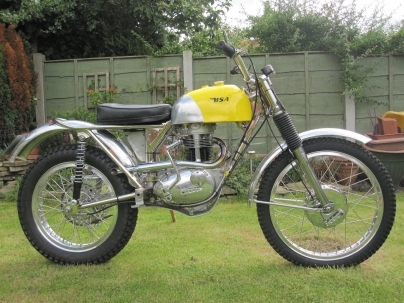 These became known has the Faber framed "Otter" and sold mostly through Sam's, Sammy Miller Motorcycles Trials outlet, eventually to be known has Sammy Miller Products. later. One hundred of these frames were sold quite quickly for something from a minority sport. like "Classic Trials". Sam eventually went his own way and had "Otter" frames of his own made for a while, there are still some of these that are still used and can be spotted because of the bolt on subframe. 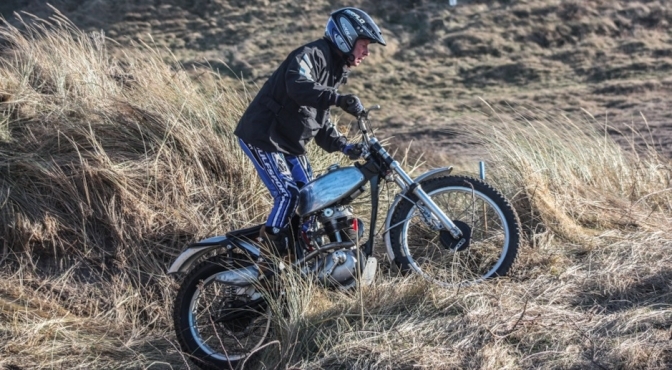 To satisfy the powers that be in the Scottish two day trial at the beginning of May every year,Howard from Faber Frames came up with a Mk 3 version of his "Otter" frame. 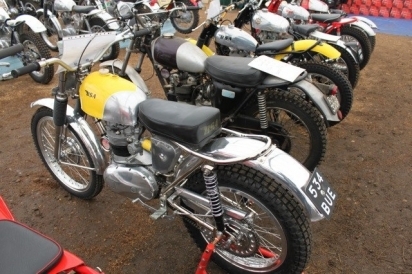 This frame although mostly in the spirit of the original frame now had added engine under-run rails and a bent spine frame more like a BSA C15 but of bigger section. This is a Mk 2 Faber "Otter" BSA built by Dave and Pete Dawson who also took the photo. After now owning a couple of Faber Framed BSA Otters, I decided to have a go at building my own frame. After this machine was built using a frame jig that I had made,I decided after a conversation with a friend to see how cheap I could build a "Otter" frame. We now have the Foster Original frame jig, so that production can restart with these frame to the Original Specification. So on these pages there is, as I have said, all the information to go ahead and have a go at building your own machine from scratch, if you wish, and many using this site for guidance now have. His Name is Harry Stitt, from Northern Ireland. Harry is only 20 years old, educated at the Belfast Royal Academy. He is some sort of magician with a welding torch at this age, and has been building BSA frames for some time and has a reputation for the quality and design of the frames. 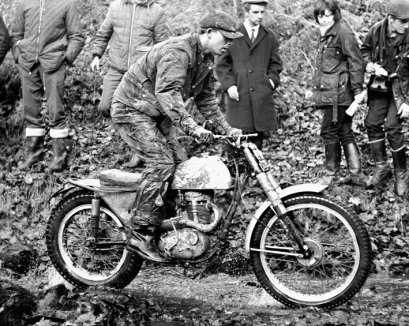 Not only that but he proves them himself by riding Classic Scrambles. There is a page for Harry Stitt BSA Otter. check it out. We now have someone capable of keeping the BSA Otter name going forward for the future. This Harry Stitt BSA is the new Acquisition of Justyn Norek Junior. 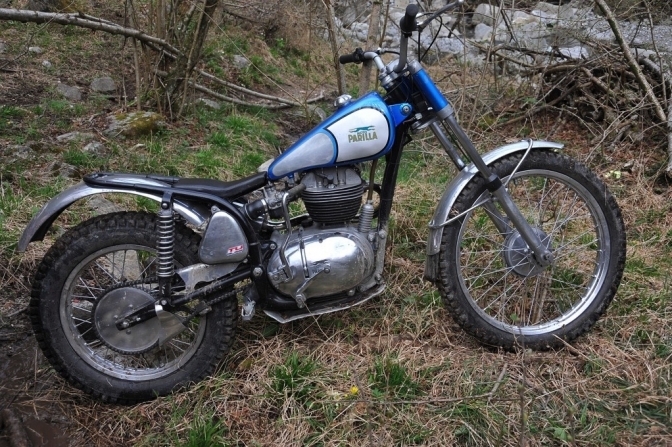 Not only that but due to interest in every thing "Classic Trials Machines", we now cover not just only the BSA "Otter" and other BSA machines but other forgotten brands from both home and abroad in fact from the World. Here are three examples that are already within these Pages. 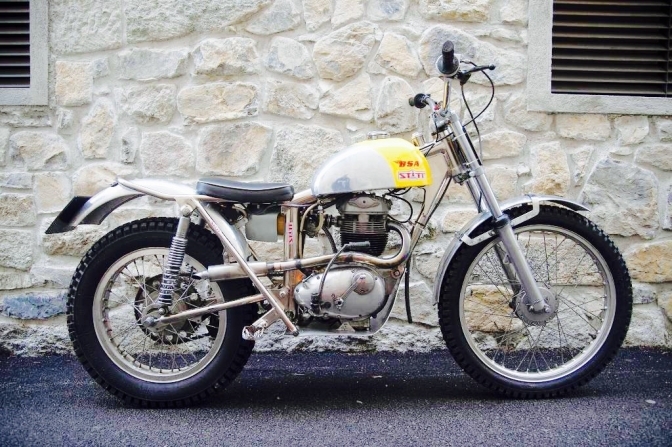 Photo Courtesy Jack Knoops and "Offroad-Archives"
We will also cover some of the more interesting creations of steel and metal that eventually became the Star machines of not only the Magnificent British past but from the entire "Classic Trials Motorcycle" scene. 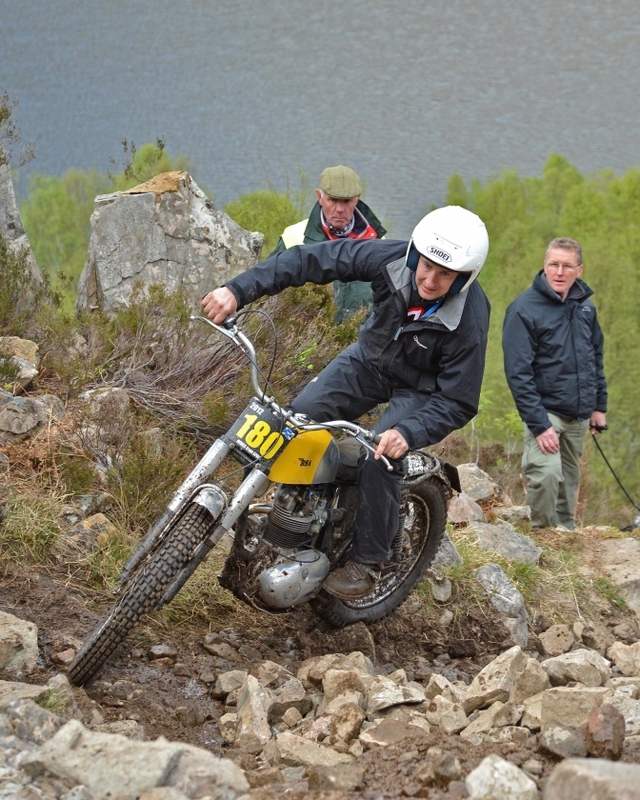 The machine above is the ex Brian Martin BSA C15 being ridden in the 2012 Pre 65 Scottish. by Andrew Paxton for owner Edward Freeman. 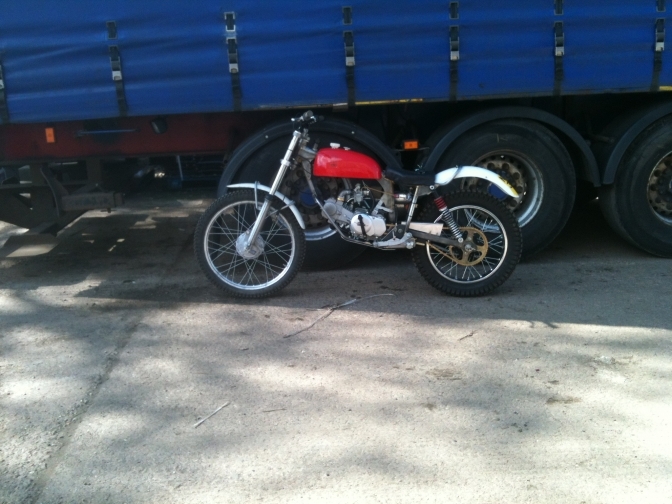 A factory built "one off" BSA engined Scorpion©. Story on the Scorpion Page. So Enjoy your journey through these many Interesting Pages. Pages will be updated weekly. And New Pages added all the time. So call back won't you. 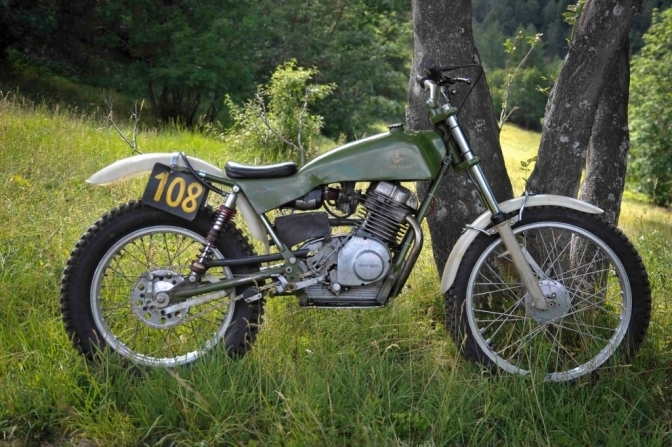 And to Help preserve the "Classic Trials bike Scene" that is our Heritage. So enjoy our many pages, and there is interest not just for the "Classic Trials Rider."